WWE 2K16 fixed up pretty much everything that didn’t work about 2K15 and brought the series back to about where it was with the outstanding 2K14. The actual flow of in-game matches was far better and the in-game speed went from unrealistically slow and sluggish to brisk and exciting. Once again, you could have matches that ran the gamut from technical showcases to daredevil-style wars with folks flying all over the place. 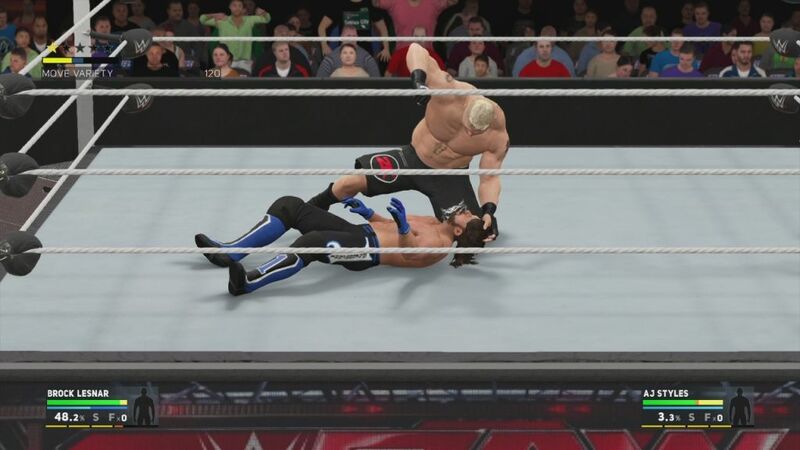 WWE 2K17 keeps what worked about last year’s game and smooths out some of its rough edges. The slow removal of things off announce tables has been sped up so you can attack people during that phase again and camera shake has been added in to make strikes come alive. Some modes, like the cage, elimination chamber, and Hell in a Cell matches remain unchanged. Ladder and TLC matches have received huge upgrades this year. The biggest core change is how you win. Before, it was a simple matter of holding up on the right stick and then moving it down at the right time. Now, you have a stick-spinning game where you have to time your movements in line with a circle that moves in a meter and basically unlock the title or case. It’s time-consuming in theory, but that gives you time to attack your enemies and execute moves on them up top. Ladder finishers and throws off the ladder have been reworked to look more devastating and the physics for falling off the ladder have been changed up a bit. Instead of folks flying all over and taking sick bumps near wherever the ladder is placed, you can only place the ladder in a relative handful of areas in and around the ring. This means that your potential for tipping over a ladder and having them landing on a series of chairs and other things is a bit reduced – but the trade off is that the revamped bumps look even more dangerous than the ones before. It’s a trade off to be sure, but one that does help match flow. Triple threat and fatal 4 way matches have had that changed up quite a bit. Now, every player that is knocked down can potentially be sent to the floor. This leads to a long portion of waiting and then the ability to either hop into the ring early and lose some momentum, or stay outside longer and be out of the action more. This means you can’t lose – but you also can’t win or do more damage. This change doesn’t work nearly as well as the addition of the new ladder bridge, which actually feels somewhat organic because you cannot only powerbomb people though it – but also do diving attacks through it. 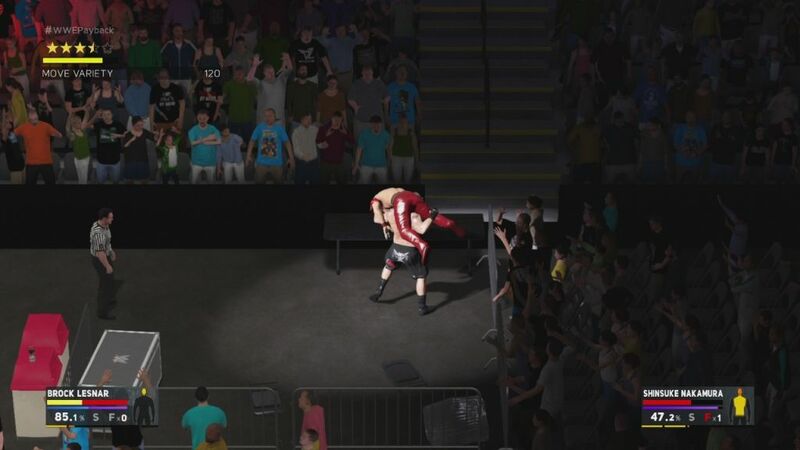 MyCareer starts you off as either your own creation or a downloaded one in the crowd of an NXT event. As Finn Balor defends his title against Sami Zayn, Balor slaps your hand and we go to the Performance Center. Here, Matt Bloom – the former Tensai/Albert/A-Train/Giant Bernard runs you through your paces and has you practice. If you do well against the trainee, you’ll move on to an NXT wrestler. 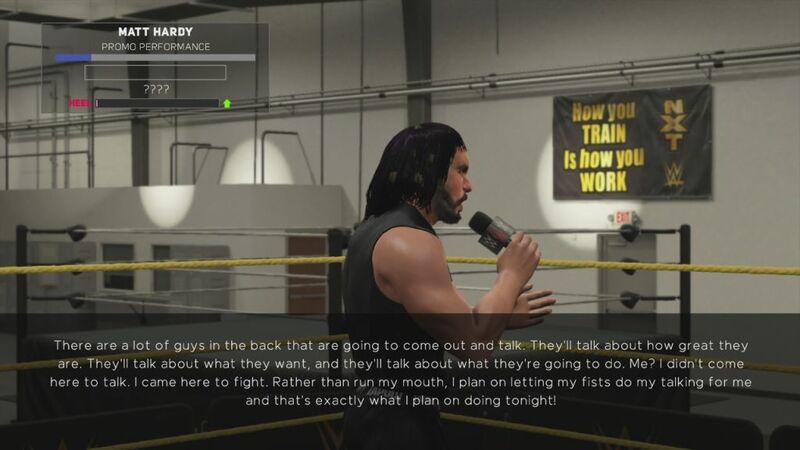 Excelling in the ring moves you into the promo game, where you’ll have to choose not only the best of the pre-set phrases for your character, but do so quickly. The new “promo engine” as its called is a blend of using what makes an in-ring promo work with a bit of random chance. You pick phrases based on what you want your character to be, and while that might seem exciting in theory, it doesn’t do much in execution. Your in-game alignment as a heel or face has more to do with how you act in the ring – so cheating to win makes you a heel, but that has nothing to do with making the heel Authority like you. They care more about you doing seemingly random things – like winning with a non-special submission, than actually having a good match. Currying their favor does raise you up through the ranks faster, but it still winds up feeling like you’re in a sea of random matches that you don’t really want to be in. Like before, Universe mode and exhibition tend to steal the show. The usual Showcase mode is gone, and it largely isn’t missed here. 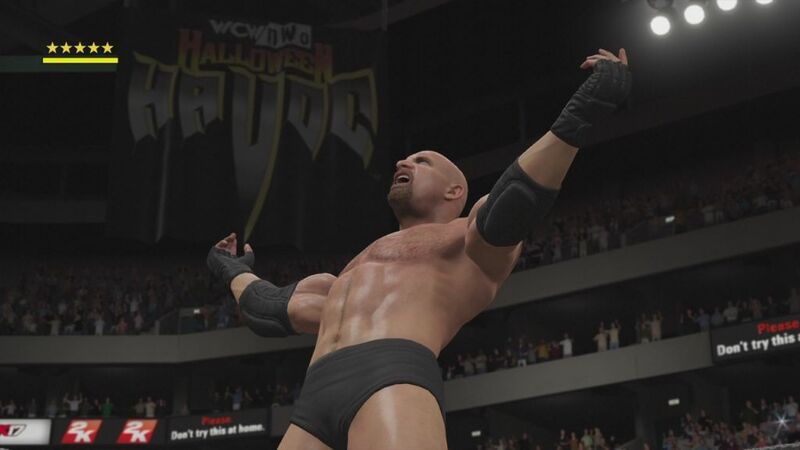 For years, the formula was a bit too well-worn and last year’s usage of Steve Austin as the cover athlete led to a slew of matches that were historic – but also playable in many other wrestling games over the past 15 years. 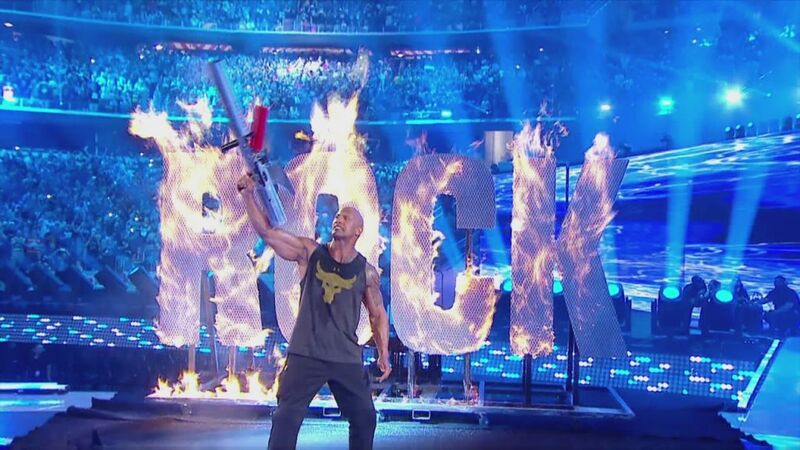 Having a Brock-centric Showcase mode would have been nice, but with Kurt Angle being one of his most famous opponents and his New Japan run not really being doable even with Nakamura being in the game, it was probably a wise move to not have one. This does shift focus to Universe, which is back and better than ever. You can add far more customization options to everything now, and pretty much make everything you do feel like it would if it was a regular event built for the game properly – outside of commentary and arenas. While there are placeholders in effect for the former and create-an-arena for the latter, nothing quite fully replicates those two elements. Universe mode features the most TV-like presentation to date – which is both a blessing and a curse. Having the live feel and announce team broadcast that the show is starting is fine, but having the TV intros air and be unskippable is a bit of an issue. It adds a lot of wasted time to a play session, even if it does add a layer of authenticity. 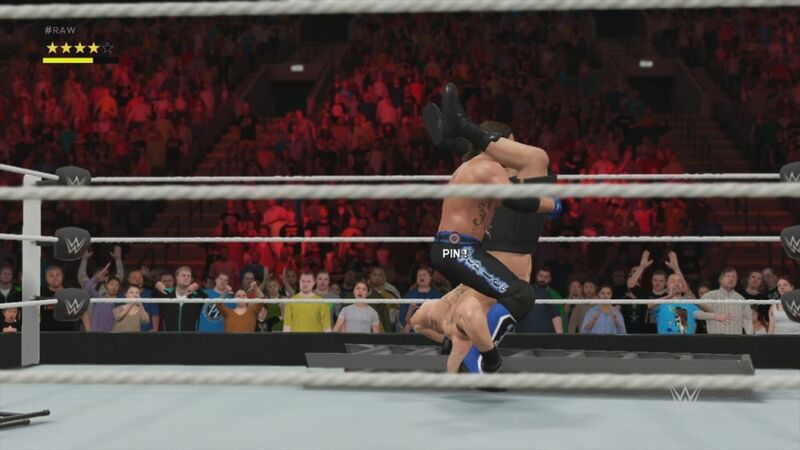 Creation modes are about on par with what last year’s game offered up, and there’s a general feeling that while a lot of new moves have been added and the roster additions of acts like American Alpha are great – not a whole lot has changed. In a way, that’s good – but some of the changes are things that would be nice to have as options and not be mandatory, like the triple threat/four way rollout stuff. Fortunately, the presentation is stronger than ever for entrances – with the Undertaker’s giving me goosebumps when I first saw it. The rest of the graphics are a mixed bag. Animations are usually quite good, but some of the faces – in particular those of the female roster, and especially Dana Brooke – look inaccurate. Body language has been captured nicely though, with Shinsuke Nakamura being given an A+ presentation in every major way. Otherwise, lighting is better than ever, with nice spotlight effects in the crowd and on the ramp. The commentary is the usual mix of good and stuff that feels copied and pasted from prior games and spliced into a random order. In that sense, it does replicate the on-air product, but it’s not all that fun to listen to. The in-game soundtrack curated by Diddy is solid, but nothing that really evokes a great pro wrestling soundtrack to me. Sound effects for strikes are great though, and do convey the damage that should be done fairly well. WWE 2K17 is an excellent wrestling game with a lot of superficial trappings to it that bog it down. The flow of matches is better than ever outside of triple threats and fatal four ways, which are now a stop and go affair. Career mode remains fairly aimless even with it being given something resembling goals now. Universe mode is improved, but a bit more time-consuming than ever before thanks to the presentation. 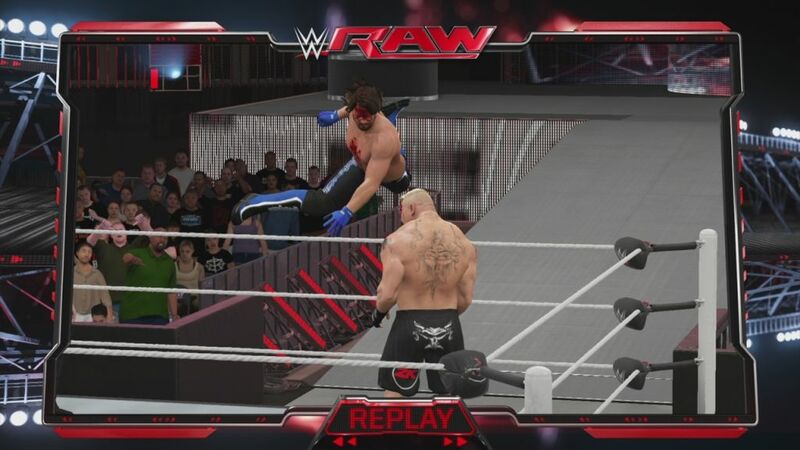 Owners of WWE 2K16 who loved its gameplay enhancements will find a lot to enjoy here, while those who are lapsed fans should be able to jump right in and have fun – but anyone expecting a wholesale sea of change for the series will be disappointed. 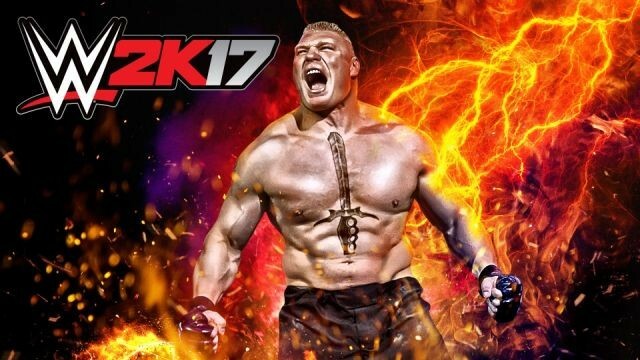 This review is based on a digital copy of WWE 2K17 for the PlayStation 4 provided by 2K Games.